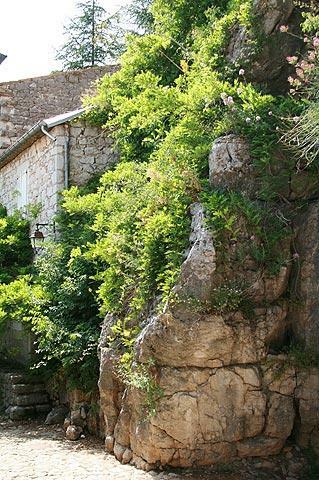 Labeaume is on the La Beaume river to the south of Largentiere, in south-eastern Ardeche. 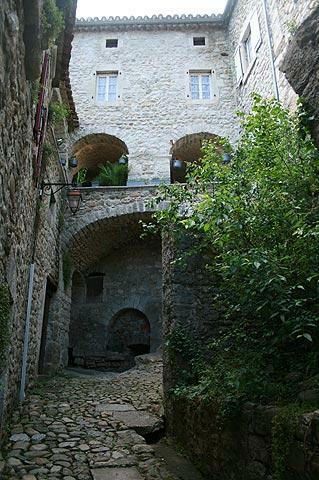 It is listed as one of the 'Ardeche villages of character'. 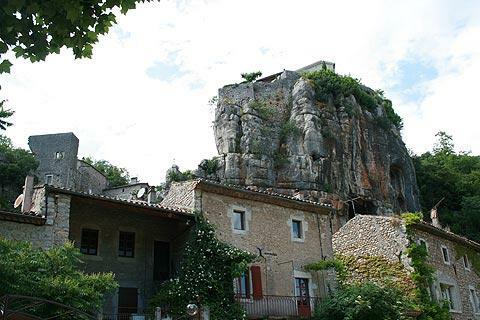 The origins of the village lie in the cliffs opposite, at one time home to troglodyte dwellings established by the first inhabitants of Labeaume. 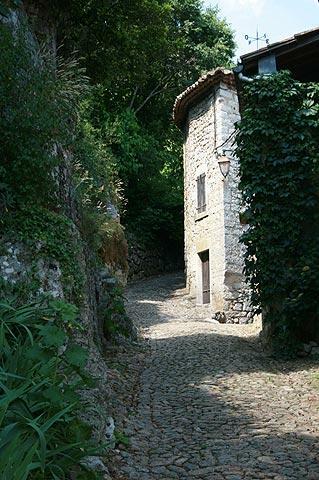 A little different in nature from the other 'villages of character', Labeaume is based around an open square with a church and has a handful of old streets to explore as expected, with ancient houses lining narrow alleys clustered around the bottom of a cliff. Although this historic centre is quite small it is lovely to explore the narrow paved lanes admiring the ancient buildings and stone staircases. As you explore you will notice that many of the houses in the village have walls that are made from, or covered with, pebbles that have come from the river while the church and larger houses use more conventional, larger stones for their construction. 2) The main attraction - the river beach. Between the village and the river, with the cliffs opposite, the river has a good sized stretch of beach where children (and adults) can paddle and play in the river in a very picturesque location. An old bridge also crosses the river at this point. Cafes and other facilities are also found in Labeaume, and the village is well organised with parking easy and close to hand. 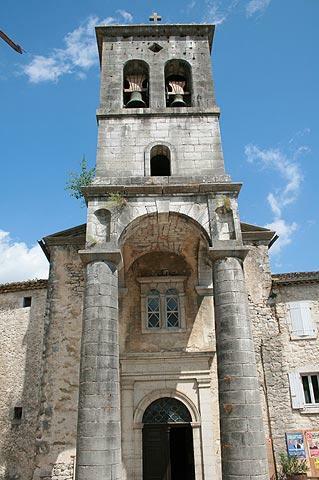 There are lots of attractive villages to explore in the Ardeche, each with their own historical interest and characteristics. 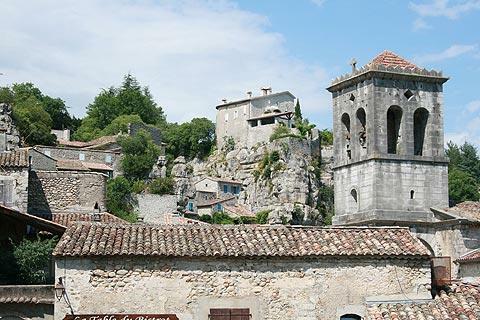 See those listed as Ardeche villages of character for some of the best examples to be found in the region around Labeaume. 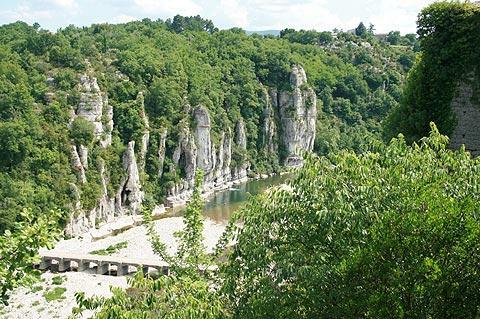 Of course, the natural environment around Labeaume is also exceptional with rivers and steep valleys covered in trees as well as the remarkable scenery of the Gorges de l'Ardeche to the south-east of the village.